Made of square posts and square glass clamps the Chicago Square Glass Railing System is popular for its airy, industrial appearance. 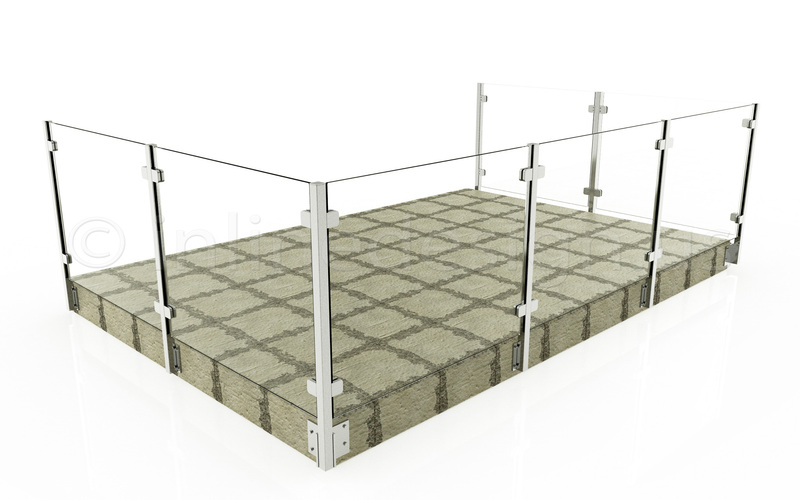 Customers have the option of purchasing posts with brackets to support the handrails, stocked in 36" and 42" heights. We also offer custom fabrication to fit any space. 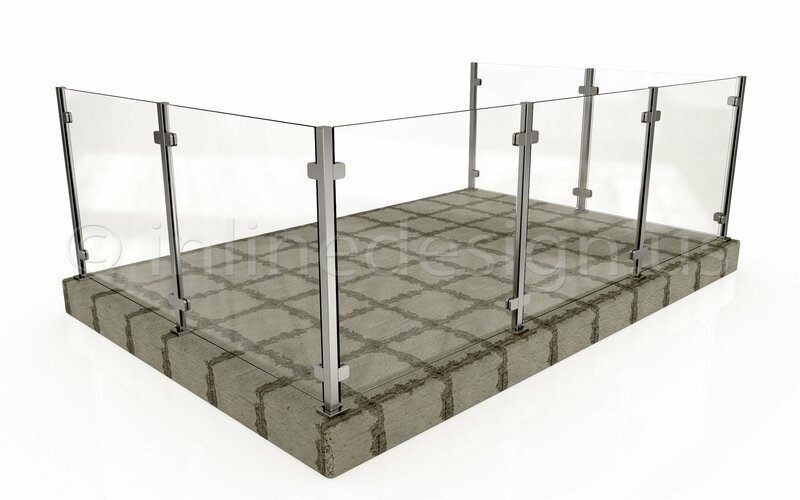 Our glass systems are suitable for glass thicknesses of 1/2" or 3/8". For an example of posts with and without a top rail, see Chris' home in Alberta, Canada. Additionally , Mark's rooftop deck in Washington state, displays how our Chicago Square System can easily enhance any outdoor space.